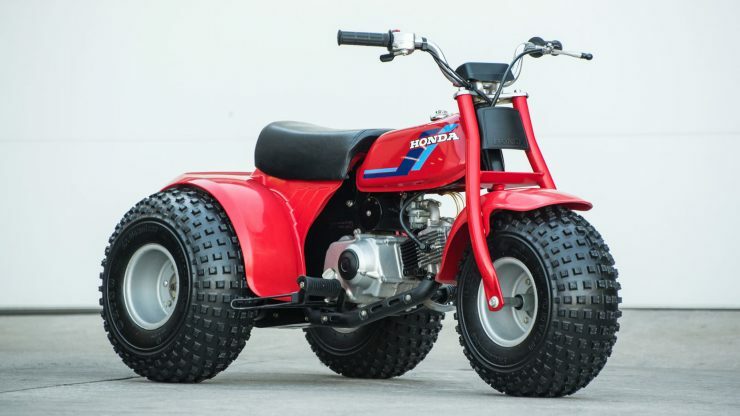 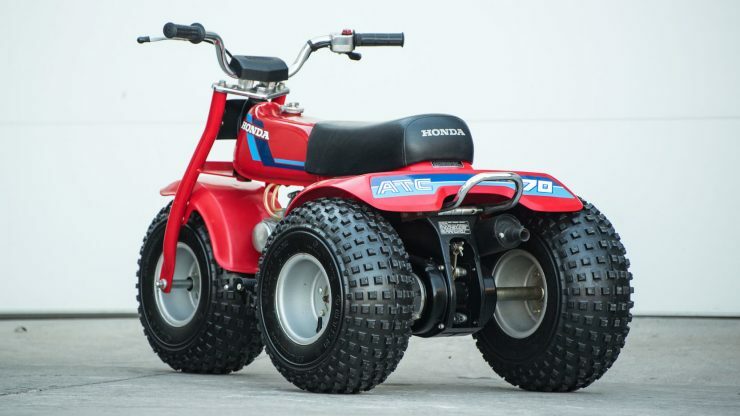 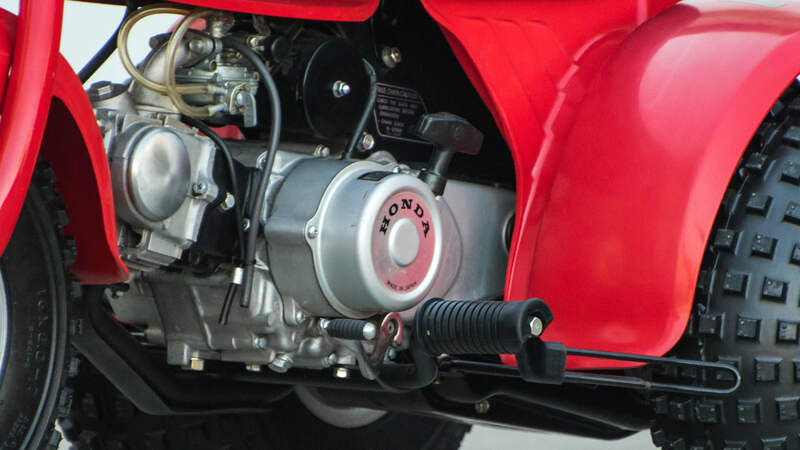 The 3-wheeled ATC models by Honda started production in 1970, they founded the market for off-road trikes and a number of other manufacturers followed – though none saw the same success. 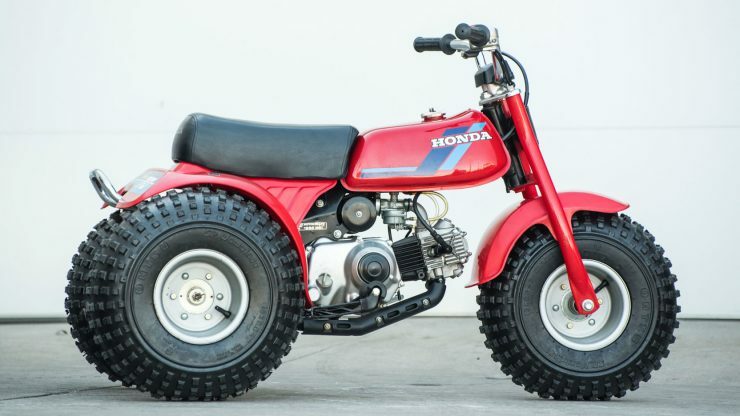 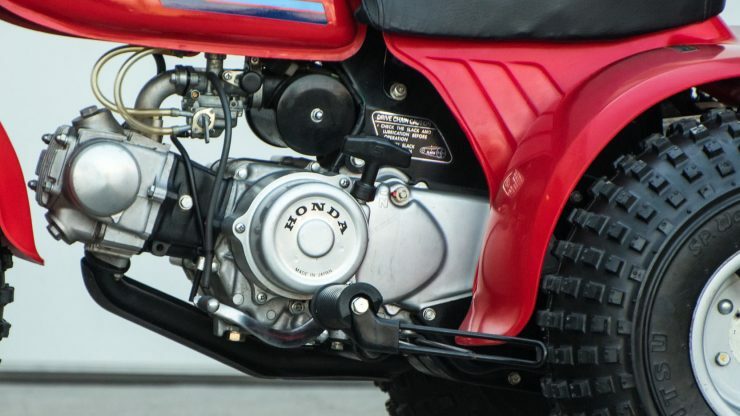 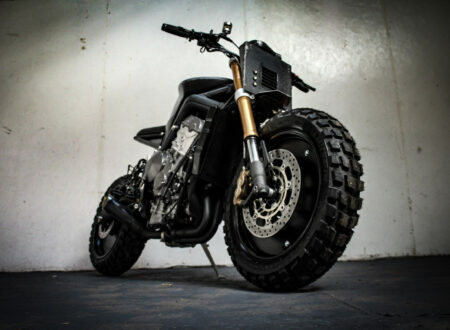 The initial model was the ATC90, called the US90 until Honda secured the “ATC” trademark, and it stood for “all-terrain cycle”. 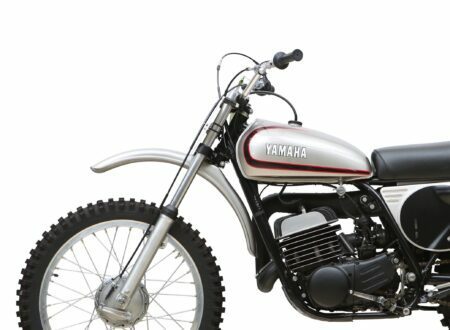 In 1973 the ATC70 was introduced, it featured a slightly smaller 4-stroke, air-cooled, 72cc single-cylinder engine but due to its price and its more approachable power-level it was a common purchase for families – the ATC70 worked well for both kids and adults. 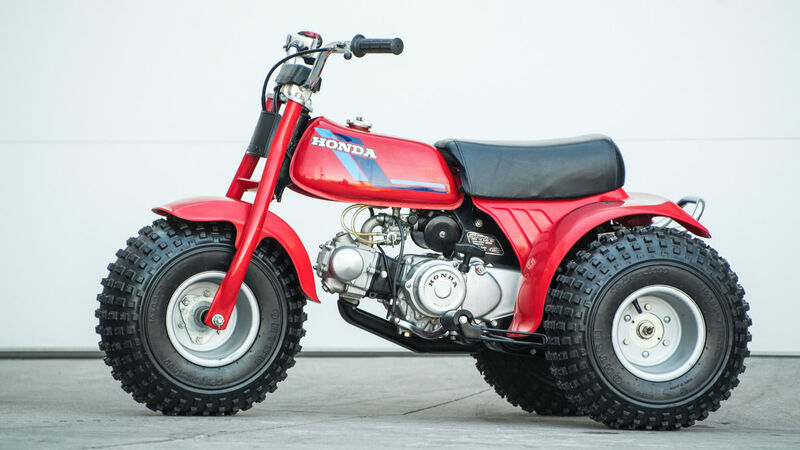 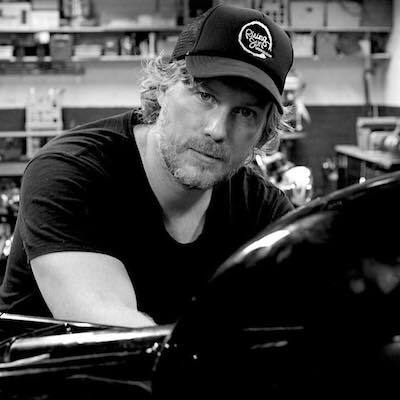 Honda sold astonishing numbers of their ATC powered-trikes, and over the years that followed they would bump up the engine capacity to over 200cc – although how advisable it is to ride one of these quickly on uneven surfaces became sadly apparent to many owners, with injuries and even fatalities being all too common. 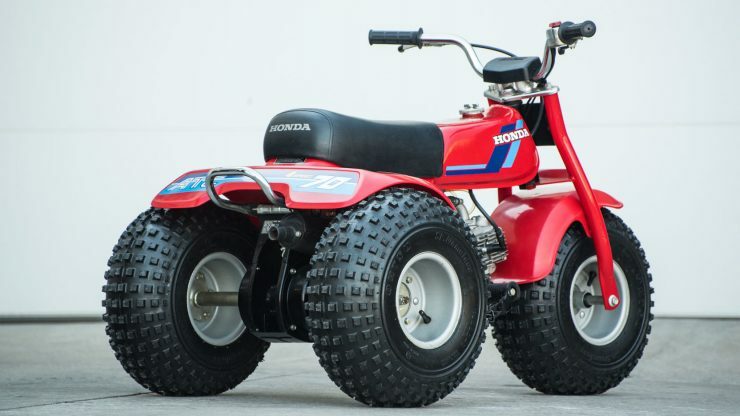 In 1987 a consent decree was achieved between all of the three-wheeler manufacturers and the Consumer Product Safety Commission to switch production to four-wheeled quad bikes for safety, and the age of the iconic ATC drew to a close. 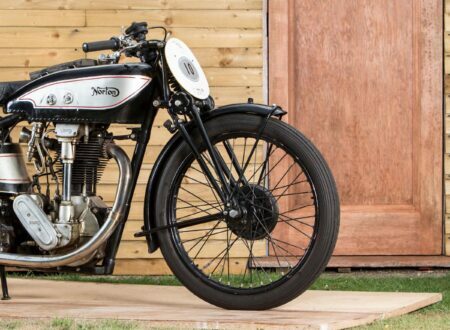 Surviving models like this beautifully restored example are now highly collectible, and the more manageable engine size and vehicle weight mean that they’re far less dangerous than their larger siblings. 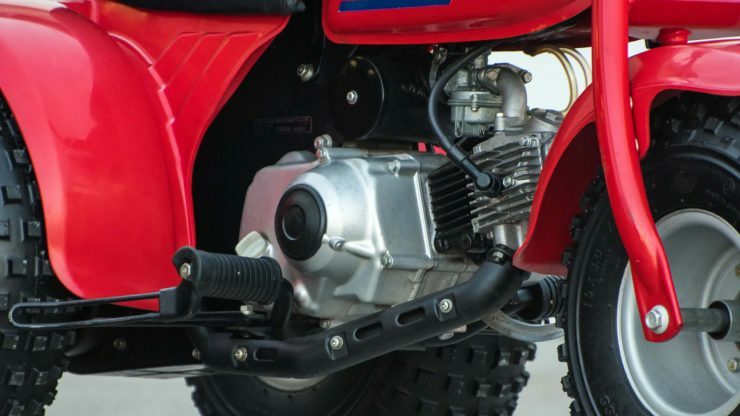 Anyone who grew up in the ’70s or ’80s will remember seeing dozens of powered-trikes racing across beaches and sand dunes, with the large low-pressure tires standing in for suspension and their typically reliable Japanese engines spitting out a familiar buzz as they kick up sand and terrify the local lizard population. 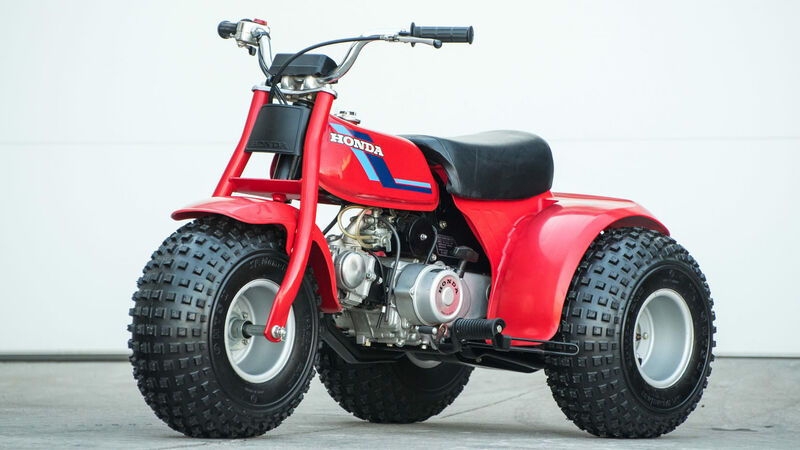 The trikes have now been replaced by quads, and that’s probably a good thing truth be told, but it’s always a treat to see a classic trike still in action – with an owner who knows how to avoid flipping it over. 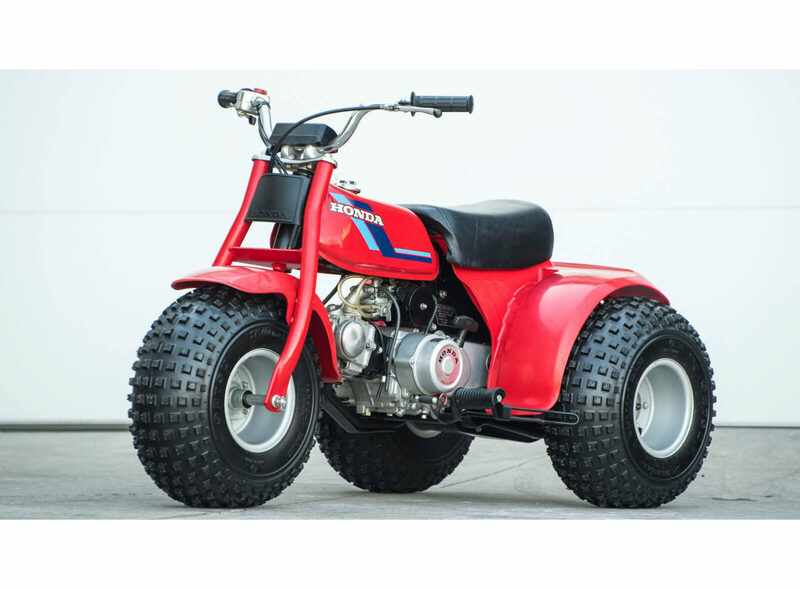 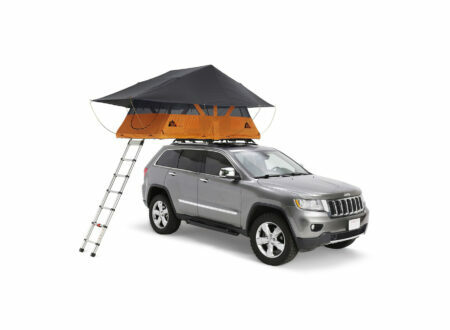 If you’d like to see more of this ATC70 or register to bid on it you can click here to visit Mecum.